Rossvale out to upset Hurlford United in Scottish Junior Cup. Rossvale’s players are out to write a new chapter in the club’s history by reaching the Scottish Junior Cup last eight for the first time ever. 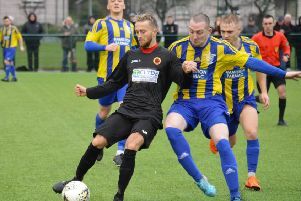 Standing in their way at Huntershill on Saturday will be Ayrshire giants Hurlford United, current Premiership leaders and last season’s beaten finalists. 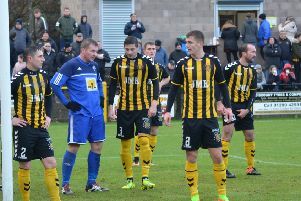 Hurlford will be overwhelming favourites to get through - but Vale boss Gordon Moffat believes his side have shown enough in previous cup meetings with Premiership sides this season to give Hurlford a run for their money. He said: “There’s no point in us having the tie if we don’t think we can win. “In the games we’ve played against Premier League teams this season we’ve shown we can cause them problems when we’re on it. “Hurlford are top of the Premier and it will be the toughest game in my time at the club. We know we will need to be at our best and if they have a wee off day you never know. “It’s a cup tie and we want to try and give it a go on the day, but at the same time we’re not going to go gung-ho. “We need to respect the quality that Hurlford have got but at the same time I’m not just looking to camp in and hope for the best.